Currently the media has created a narrative. Omar Mateen acted alone when he shot up the Pulse nightclub in Orlando. This “lone wolf” killed over 50 people and maimed 53. That’s a casualty count of over 100. The firearms used and expended magazines would tell us how many bullets were fired into Pulse and the victims. We would also need to match the ballistic reports to the firearm used to ensure that no other firearm (and thus shooter) was responsible for the deaths of the victims. Without that evidence, we know it's a cover-up. Why isn’t the media even asking for this basic evidence? We’d need a count of all bullets found in Pulse to apply some math. Why? Let’s reason this out. Talk to any soldier. Even at close ranges, that is not much ammo. According to the official story, Mateen averaged 3.45 rounds per casualty. That short of sheer killing power would make him the envy of even trained special operations soldiers. If Mateen had over 345 rounds of ammo, where was he holding it? Some other questions and objections to consider.
.@AnthonyCumia Average soldier needs 23 rounds per kill. 50 kills means 1,150 rounds or 38, 30-round mags. That's not counting the wounded!
. @AnthonyCumia The math on ammo needed to kill 50 and maim 53 does not add up, it would be thousands of rounds. That's 60-80 pounds of ammo. 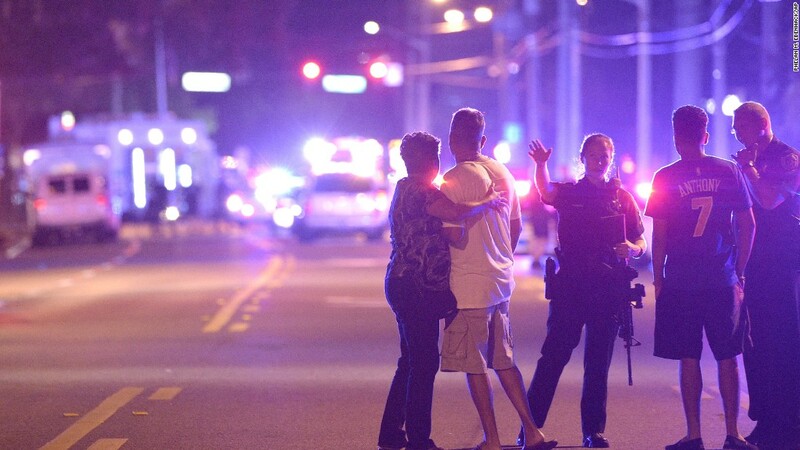 There were multiple shooters in #Orlando. Fact. Do the math on number of rounds needed to kill 50 and wound 53. More than one shooter. "But it was in close quarters!" This means people are RUNNING. Harder for one person to hit. If you've had training, this does NOT add up. Shooter didn't smuggle it in. That means he's carrying a 30+ load (ammo and gun). He's fat. He's running. Yet somehow kills 50, maims 53? Grab an AR-15, put on a vest with 8 fully loaded magazines. Run 100 meters. Then see how accurate you are, even at close quarters. Multiple witness reported seeing multiple shooters. Eye witness accounts are of course suspect, and we must be aware of hoaxes. Yet the media isn’t even asking questions or doing research. club goers their race, said U.S.
@Cernovich IIRC on the radio last night I heard references to multiple shooters a few times. Is there a way to D/L that audio? He said he never saw the gunman, who was in an adjacent room about 20 feet away. He said he thought the initial burst of gunfire lasted eight or nine minutes. Why would the government and media lie? Would the government lie about the existence of a second shooter to avoid panic? Again. *Think* All "the media" is doing is repeating gov't. This is "journalism." Gov't tells "journalists" a story. They repeat it. If you believe any thought or analysis is going on, you're wrong. You think taht the media asks questions. My friends, they don't even know the questions to ask. Most "journalists" have never fired a gun. There is more to the story than the media is reporting. As a lawyer I am taught to NOT trust the government. Everyone else in media simply repeats what they are told. I think for myself. Remember that “journalists” hate guns. Simply read my analysis, above. 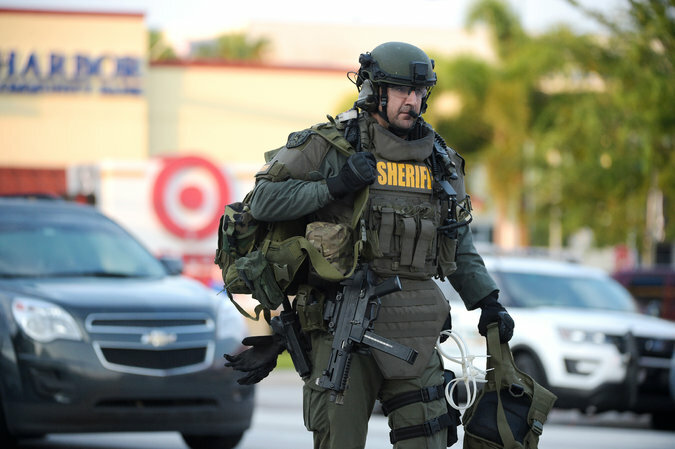 Why isn’t the media asking about the tactical gear Omar S. Mateen was using? They don’t even know what questions to ask, and all anyone is doing is repeating what the government has told them. As you follow the story, look for this evidence. If we don’t see all of this, then there was a second shooter. Again, why isn’t the media even asking to see this evidence? Why is every story merely repeating the official story?